My friend gave me permission to detect around his property yesterday.He believes his house was built in the late 1800s.After searching the front yard for about 2hrs,finding only penny`s(7 of which were wheaty`s)and was about to give up.I decided to check the back yard.Starting under the old oak tree next to the trash cans,I got a good signal,I thought it to be a quarter.The ground was hard packed dirt with gravel.Much to my surprise at about 1 inch down,out popped a 1877 Trade dollar.The dirt wiped off well but the coin is well colored.I always thought that silver came out clean(all my other ones have).After researching,I`ve found that collectors prefer the tarnished ones more than the shiny ones.Anyways that was the best find so far.I have to go back someday soon with my other detector,which goes a little deeper but finds more trash.I`ll keep you posted.Thanks for your site.It`s fun to share the nice finds. Robbie, silver is always good! 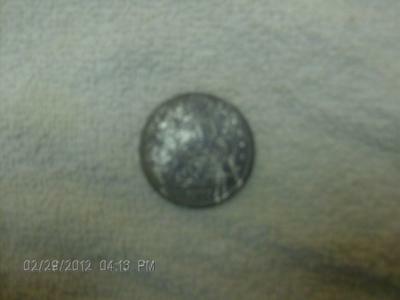 Hey Robbie, thanks for posting your silver dollar find. It's always exciting to locate one of those. We just don't see to many being found today. Back in the 60's, they were more common finds. It also doesn't surprise me that it was found beneath that tree. That's where people like to sit during the warm months, especially if they have been working outdoors, and it's hot. 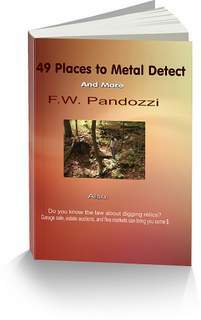 The tarnish has to do with the mineral in the soil. Sometimes silver dollars come out of the ground like they were when they were first lost. 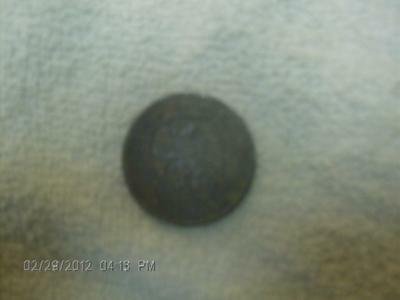 Thanks again, and keep us posted with what else your finding.